Twentieth-century Russian history provides a background for Valente’s lush reimagining of folkloric villain Koschei the Deathless and his dalliance with Marya Morevna, a clever but troubled young woman. After Koschei sweeps Marya away from her family’s home in St. Petersburg-Petrograd-Leningrad, Baba Yaga assigns her three tasks that will make her worthy of marrying Koschei. As she spends more time in Koschei’s Country of Life, Marya starts to become too much like her unearthly lover, until naïve Ivan Nikolayevich helps her regain her humanity (as well as the sympathy of the reader). Valente’s lush language and imagery add to the magic and fundamentally Russian nature of the story, drawing pointed parallels between the Soviet Union’s turmoil and the endless war between Koschei and his brother, Viy. Readers used to the Brothers Grimm and Charles Perrault will find this tale peculiar but enchanting. 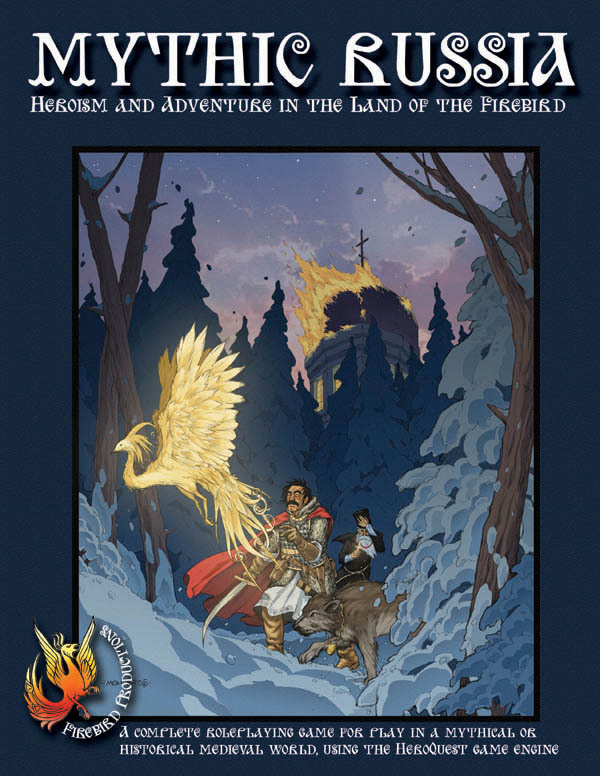 Thanks to some heart-warming discussion of Mythic Russia on RPGnet’s fora, I’ve decided to hold a two-day sale of both the Mythic Russia softback and the first Birchbark Chronicle supplement, here. Get them while they’re hot!